Southampton Hospital’s plan to build a satellite emergency room in East Hampton got a big boost this month when it received a $10 million state grant toward the project. East Hampton Town Supervisor Larry Cantwell has long been an advocate for a satellite emergency room, due to the long distance, often through gridlocked summer traffic, that ambulances must travel to get to the nearest emergency room at Southampton Hospital. 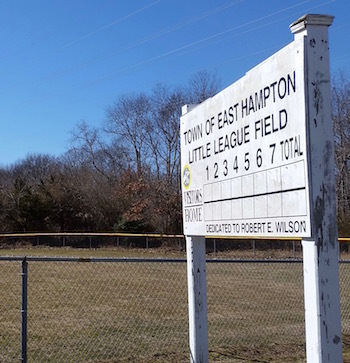 East Hampton is favoring a site that currently houses the town’s Little League fields on Pantigo Place, just east of town hall, but has also considered two other sites, on Daniels Hole Road and Stephen Hands Path, both far west of the population center for the town. Dunn Engineering, which is analyzing the traffic impact of the three sites for the town, backs up that position. Mr. Hill said that 68 percent of East Hampton’s population is north and east of the Pantigo Place site, while 80 to 90 percent of the town’s population is north and east of the two other sites considered. Mr. Hill said that a traffic signal would be necessary at the intersection with Montauk Highway nearest to any of the sites selected. He said that Montauk Highway carries an average of 21,000 vehicles per day at the intersection with Stephen Hands Path, whereas at Pantigo Place, it carries just 8,700 vehicles per day. ← A Permaculture Paradise for Hampton Bays?